No amount of Facials/Clean-ups using Sand, Soil, Mud, Cow-dung, Goat Dung etc. 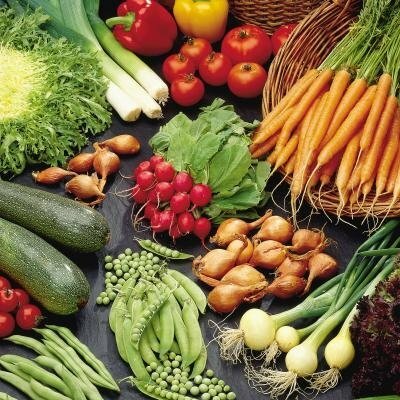 from any corner of the earth can make your skin flawless as much as following a healthy diet which fulfills your body's nutrition requirements can. Antioxidants are substances that destroy these free radicals. Free radicals are atoms or groups of atoms with an odd (unpaired) number of electrons and can be formed when oxygen interacts with certain molecules.These free radicals occur naturally in the body,however air pollution, Smoking, UV Rays of the sun etc,. They turn extremely dangerous when they react with components like DNA and tamper or modify cells. They may even cause cell death. These Free Radicals are responsible for degeneration of Collagen, which keeps the skin healthy and prevents wrinkles.To prevent free radical damage the body has a defense system of Antioxidants. Make it a point to include these antioxidant rich foods in your daily diet. One of the most important prerequisite for a beautiful skin is consumption of Water. Everyday!! Day after Day!! Most people who have a great skin are typically well hydrated and are in the habit of consuming water in large amounts at regular intervals. Water moistens our body from inside and outside. It flushes out toxins from our body and helps in removal of all types of waste products and promotes efficient nutrient transportation to all cells in the body. Along with healing wounds, Zinc also plays a major role in alleviation of Acne/Pimples. Some Research also suggests that Acne itself may be a symptom of Zinc Deficiency.Zinc is also required for Collagen production. Beta carotene , a precursor of Vitamin A , plays an important role in curing and alleviating acne. Adhere to the 5 tips and include foods from all the 4 food groups listed above & Water, in your daily diet for that crazzzzy flawless skin. Try this for a month and see the changes for yoursefl! We all must have heard it from some people while growing up, " You are a young boy! What do you need 8 hours of sleep for??" , " You're LAZY if you sleep for more than 6 hours" , " A boy your age must be active even with 4 hours of sleep a night". Even I believed that till I educated myself on this.In fact a boy/girl at "that" age would be twice or thrice as active as the person telling him/her to sleep not more than 6 hours a day. 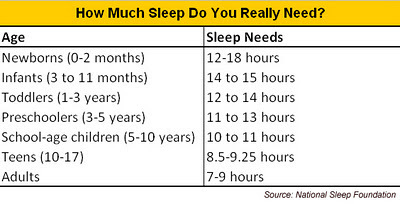 Who would need more sleep then? Moving on to the Four things you must know about Sleep. 2.How much Sleep do you need? 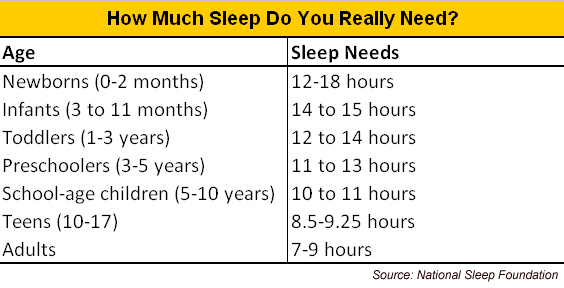 While every body is different and needs different amounts of sleep, there are certain guidelines given in a white paper on "How much Sleep do we need" by the National Sleep Foundation. 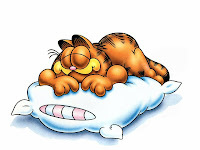 Again, I know people who can sleep for 10 hours a night and still sleep the next afternoon if given an opportunity and again sleep the same night, without so much sleep, affecting their sleep appetite. So it may vary a lot from person to person. So no matter how many hours you sleep , if you don't experience the symptoms listed in point 1, you shouldn't be concerned. You may have noticed that on certain days you wake up fresh and charged and on some days you keep snoozing the alarm 5 times and still get up drowsy! To understand why this happens, let's understand the structure of a typical sleep cycle i.e. The Sleep Architecture ( because it looks like a skyline of a city). It is also called a Hypnogram. REM stages are shorter in the first half of our sleep and relatively longer in the second half. Hence if at all, we get up, it is usually during the second half of our sleep i.e. in the wee hours of the morning. REM stages are when we are not in our deep sleep and hence are sensitive to waking up easily. As you can see, REM occurs roughly every 90 minutes into our sleep. So if by preponing or postponing your wake up time to coincide with the REM stages would ensure that you get up fresh and charged up , ready to take on the day without feeling the need to push the snooze button on your alarm clock. So if you sleep at 12 am, you may be able to wake up easily without any effort at around 1.30 am, 3 am, 4.30 am, 6 am , 7.30 am and so on...As simple as that! But first, is water really that important as it is made out to be?? 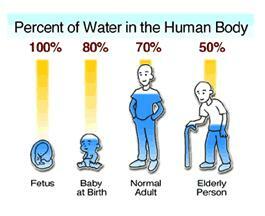 Total amount of water in the body of an average adult is about 37 Liters!! We may survive for more than a week without food, but without water we wouldn't last for more than a couple of days(though this depends on othr factors as well). Water is to our body what OIL is to an engine. It ensures smooth functioning of all joints. 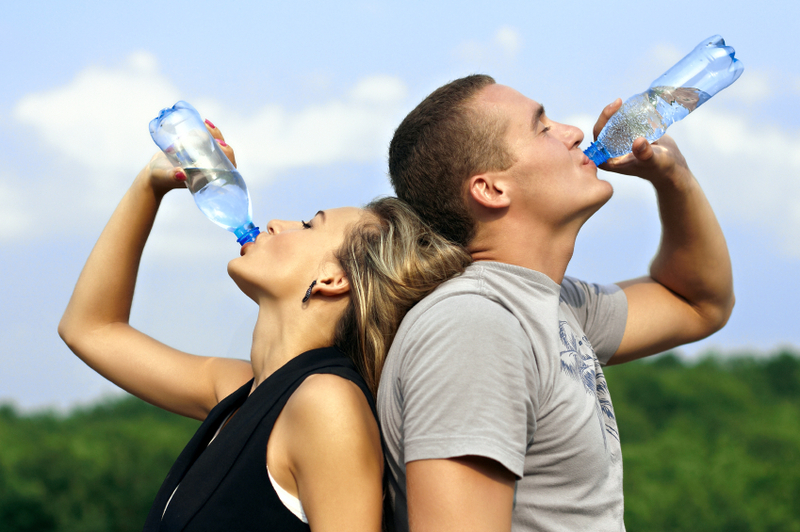 Hence, not consuming enough water may also be a cause of joint related issues. The kidneys perform the function of throwing out uric aced, urea & lactic acid, all of which must be dissolved in water. In the absence of sufficient water,this process is not executed efficiently.Water is required to efficiently circulate blood, hormones and nutrients in our bodies. Water retention is a vicious circle. Water retention gives us a feeling of being bloated. So we do not consume water , to avoid that bloated feeling. This in turn leads to more water retention. This is because, whenever our bodies don't get enough amount of any nutrient , it rations it , and uses some of it only for high priority functions only and stores the rest for future use, sensing an emergency situation. So, if we give our bodies water at regular intervals, it wouldn't feel the need to ration the ingested water and will use it to perform all the necessary functions required to keep us fit and healthy. Now , How much water is enough? And keep yourselves well hydrated to avoid any of the above listed symptoms. We all know what we should avoid; Excessively sweet food, fried food, fast food, ice creams,chocolates, vada paav, paav Bhaji , Samosa , bhajiya & kachori. (We all know the list ). Having said that, one must not stop eating these foods once in a while.How else how do we justify our tongue having anywhere between 4000 - 10000 Taste-buds??!! but only once in a while. So, I shall not discuss these foods but focus on the other 4 essential foods you must consume in your daily diet. Want to be fit as a horse? Have Oats. Oats form 20% of a horse's daily diet. No wonder they are so healthy , fit , agile, lean and mean. 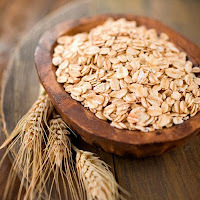 Oats are believed to lower LDL (Bad) cholestrol and reduce the risk of heart disease. Of all the grains, Oats contain maximum amount of soluble fiber, thus giving a feeling of fullness for a longer time post consumption( This is helpful for people who want to cut the habit of munching unhealthy snacks very now and then). 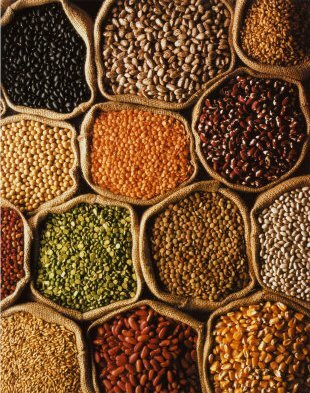 According to World Health Organization's research, Oat protein is similar in quality to that of Soy Protein. Moreover 100 gms of Oats give you 17 gms of protein. Also, since oats contain complex carbohydrates, it results in slow and continuous release of energy , which avoids the feeling of tiredness by 11 am that most people complain of. Also, consumption of oats does not result in immediate increase in blood sugar levels , as happens on consumption of simple carbohydrates. An apple a day keeps the doctor away.If the nurse is cute keep the apple away , goes the extension. I'd say, eat an apple a day, be fit , so you can catch that cute nurse once she finishes her shift and ask her out on a date. Sounds like a better deal. Apples is truly a powerful food. Once you know all the benefits it offers, you realize the truth in the banal hackneyed pharse about it. To start with, Apples are rich in antioxidants , thus fighting the harmful effects of free radicals. Antioxidants from apples help reduce risk of Lung cancer, asthama and heart disease. Daily consumption of apples reduces LDL cholestrol . Antioxidants in apples prevent Lipid Peroxidation i.e. Free radicals ( as spoken about in earlier posts) steal electrons from Fats those found in cell membranes, resulting in Cell damage.Limiting Lipid Peroxidation results in lowering risk of heart disease. Interesting fact: You may have heard of " one rotten apple spoils the bunch". It is said so because, a damaged or bruised apple after a while will start releasing ethylene gas which also starts rotting the other apples. Include these 4 essential foods in your daily diet to keep your body running smoothly like a super efficient car engine. Should you be scared of Rice? If I have rice and lie down sideways then will my stomach start bulging out? Is rice bad for health? Will I become fat if I have rice? Will I become bulky if I have rice? 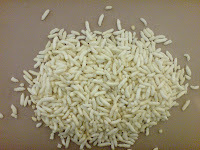 Will puffed rice also make me fat? Will rice make me bald ??? The last one is ridiculous... all right I made that up! but the other 7 are the possibly the most Frequently Asked Questions related to consumption of rice. Don't be shocked. 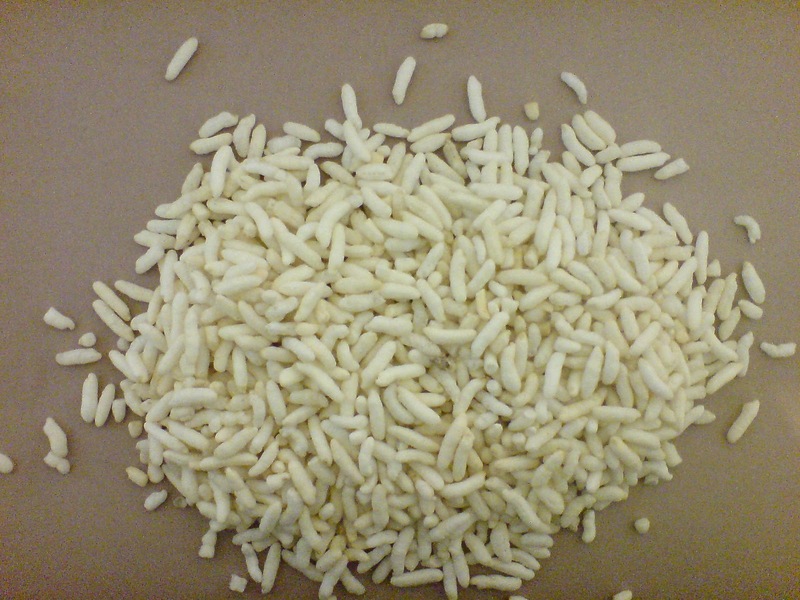 Rarely do we consume 100 gms of puffed rice in one sitting. 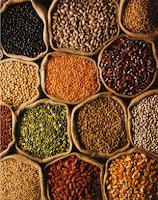 Usually a serving of Bhel may take anywhere between 15-30gms of puffed rice. All the foods listed above, in a certain quantity will have a combination of Carbohydrates , Proteins and Fats , similar to that of rice. Does that mean , we eliminate all these foods from our diet? 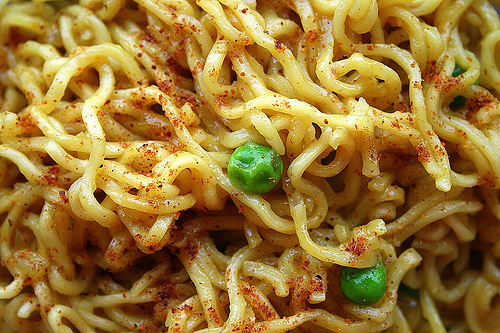 Have we ever though of eliminating Maggi from our diet? Truth is, even the most healthiest of foods can make you fat, if you consume more amount of calories than you burn. 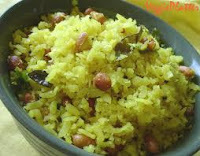 So, for a person who is consuming rice and gaining fat, Rice is not necessarily the culprit. But his over all diet may consist of calories that exceed the amount of calories his body burns everyday. Our bodies follow a simple law of energy balance. 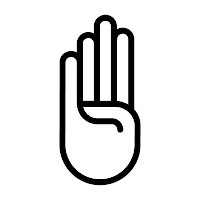 If the number of Calories in is greater than the number of calories out (burnt) , the person will gain fat. If the number of Calories in is lesser than the number of calories out (burnt) , the person will lose fat. Bottom line: Look at the nutrition label before you judge any food group or food item and then decide whether or not it is good for your body. And yes.. don't forget to enjoy your Jeera rice with a bowl of yummy Dal Makhani ! !